As we continue our coverage of the new 2019 Mazda3 and the addition of AWD as a feature, we bring to you this comparison with what is one of its closest competitors: The Subaru Impreza. Our jobs at Motor Illustrated are to entertain, inform and educate. 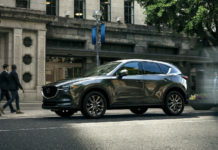 When something as hot and relevant as the 2019 Mazda3 lands on the market, we know many of you will want to know, and knowing is, contrary to what G.I. Joe said, all the battle and not half of it. And you need to know how it measures up to the 2019 Subaru Impreza. For the purpose of this brief comparison, we’ll concentrate on the Impreza and the AWD versions of the Mazda3. Subaru keeps it simple for Impreza and Crosstrek buyers. The only engine on the menu is a 152-horsepower and 145 lb.-ft. of torque 2.0-litre 4-cylinder. Following that, you can opt for a slightly outdated 5-speed manual gearbox with the Impreza, a better-performing 6-speed with the Crosstrek or the best option, a Lineartronic continuously variable transmission. Mazda also offers a 2.0-litre 4-cylinder but it’s a no-show if you stick with AWD. The more powerful 2.5-litre 4-cylinder produces 186-horsepower and 186 lb.-ft. of torque. 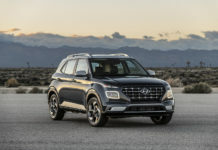 There’s a catch here as well as, although a 6-speed manual gearbox is available, if you once more stick to AWD, your only choice is a 6-speed automatic transmission. The AWD systems differ quite a bit also and in an interesting twist, they’re quite nearly even. 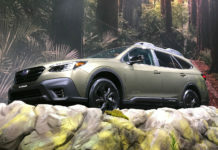 Subaru sticks to its tried and true Subaru symmetrical full-time system with an electronically controlled multi-plate transfer clutch with the CVT. Mazda’s i-Activ all-wheel drive, which is new for the 2019 Mazda3, is heavily front-wheel biased however constantly sends 1% of torque is sent to the rear to increase responsiveness. It is therefore the reactive type and is coupled to Mazda’s GVC Plus torque vectoring technology. On top of Subie’s symmetrical AWD, the Crosstrek and Impreza with CVT gains the company’s X-Mode which endows the car with serious and real off-roading abilities. With hill-descent and hill-climb control, the Crosstrek is the one “Impreza” to consider if you’re searching for a more rugged and capable SUV alternative. 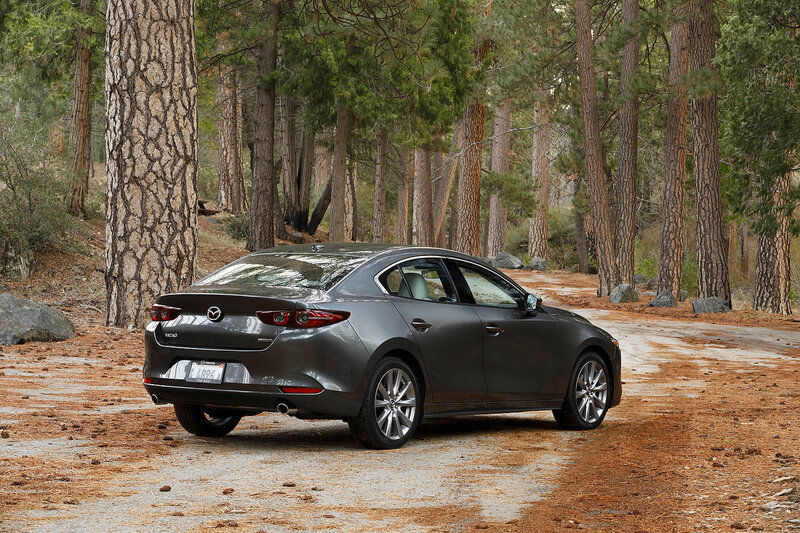 We say this because the Mazda3 will henceforth be known as the most refinement and civilized compact car in the segment. Although the Subaru Impreza is a good car, it only surpasses the Mazda3 on pricing, which I touch on further down. The Crosstrek and Impreza’s net advantage is in its long-travel suspension and accompanying increased ground clearance. While you can cottage-trail the Crosstrek, you’d leave behind a portion of the 3 and the Impreza through similar roads. Both cars offer impressively competent chassis’ which are perfectly adapted the brand’s personalities. The Mazda3 is certainly a sportier, more neutral handling automobile which displays little or no roll when pushed. The Subarus enjoy body-roll and a good dose of understeer – both characteristics make them extremely predictable and comforting. Where the 2019 Mazda3 cannot yet compete (things can change…) is in the pricing game. Sticking to AWD as the main motivation for shopping, a 2019 Subaru Impreza sedan can be yours for as little as $19,995. Add $900 for a prettier 5-door. The 2019 Crosstrek starts at $23,695. In all three cases, the CVT is a $1,300 option. 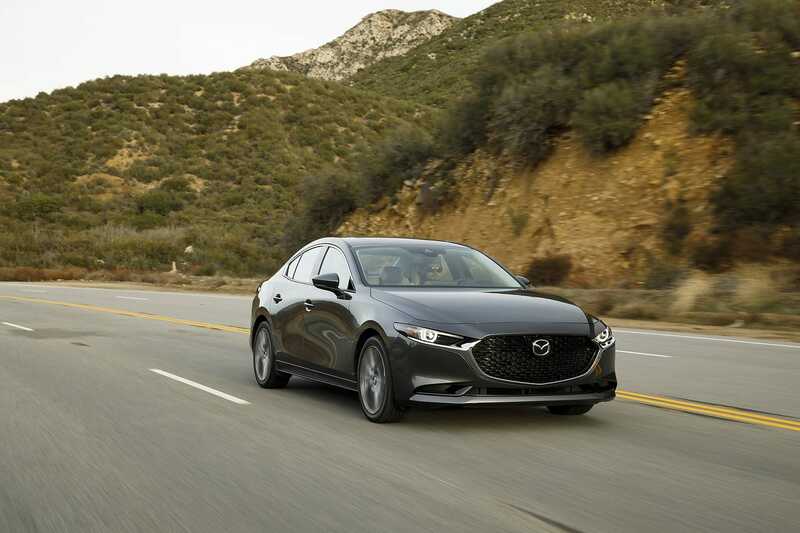 Although the 2019 Mazda3 sedan starts at $18,000, the least expensive sedan version with AWD retails for $26,000. Kick in an extra grand for the 5-door Sport. 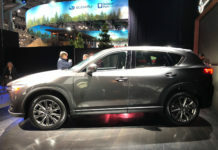 If we focus on a $26,695 Crosstrek Touring with CVT and a $27,000 GS Sport AWD, we quickly spot which car is more recent. 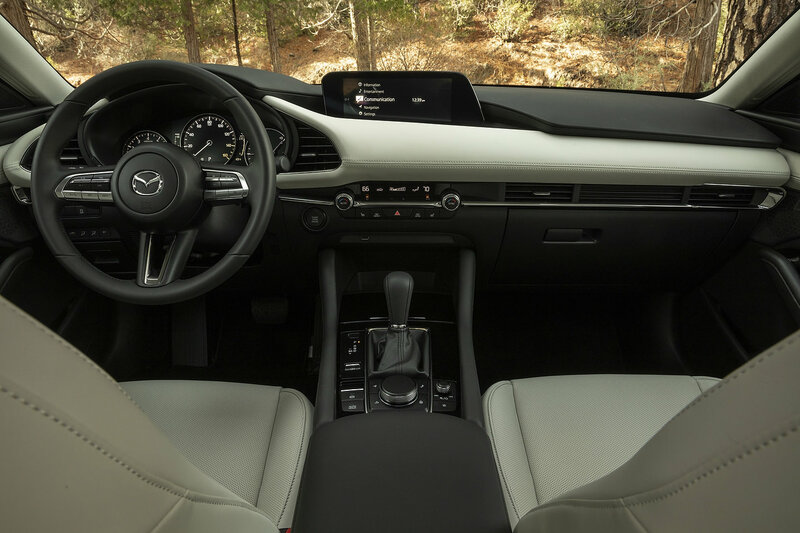 The Mazda3 includes a lovely 8.8-inch screen (vs. 6.5), a 7-inch instrument display (vs. 6.3) a heated steering wheel, LED head- and taillights, and a few more modern touches. The Subaru rolls on larger 17-inch wheels (vs. 16 for the 3), a handy wiper de-ice and fog lights. Both feature dual-zone climate controls, Apple CarPlay and Android Auto, Bluetooth and more. Safety equipment levels diverge quite a bit. For the moment, Subaru reserves the bulk of its active safety features to EyeSight-equipped cars (from $30,695). The Mazda3 gets blind-spot monitoring as standard, among others. 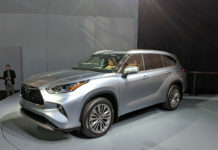 From the GS however, elements such as intelligent cruise control, forward collision warning assistance, automatic emergency braking with pedestrian detection, lane departure warning with steering assist and automatic high beam assist. Most of these functions are part of EyeSight. As solid and competent as the Subarus are, the Mazda3 is simply superior. What we most like about the Crosstrek in particular is its devil-may-care fun-filled nature. The week we drove it, we got ice, snow, the worst of winter and the Subaru took it all in stride. Mazda made a conscious effort to position their new 3 as a premium compact offering, much like the Volkswagen Golf. They’ve achieved their goal however we’re not sure they will sell many more than they previously have. 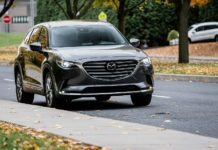 Should AWD and Mazda’s SkyActiv plans evolve in a specific direction, AWD itself could creep down the trim scale and become more affordable. 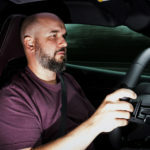 There even exist a slim possibility that a manual transmission could come in time as well. Both cars are brilliant but the Mazda’s got more going for it.